COMMENT | The latest attorney-general’s statement was simply outlandish. The “open letter” to the PAS president was surely another purporting foreign interference in 1MDB expose aided by locals. I’ve been particularly restrained especially during Ramadan. But in the best interest of the nation that we all loved and of Islam, whose ultimate objective of justice many claimed to fight for but later “hijacked”, l feel compelled to write this piece after my last one sooner (“Scandalous that AG not acting on DoJ’s 1MDB revelation” on June 20, 2017). The former has very early on exonerated the PM of all wrongdoings in the 1MDB fiasco. He seems to “up the ante” of the sort. The latter, in the same vein, put four witnesses as prerequisites if the premier is ever to be convicted. He now seems to outdo the AG, Mohamed Apandi Ali, in his “open letter”, lending a backhanded credence to the premier. This writer is of the opinion that they both represent the greatest stumbling block in the initiation of an effective legal proceeding that could get to the bottom of the 1MDB’s “heist of the century”. Last Tuesday, Bernama reported that the AG said that the DOJ’s civil suit was “politically motivated”. This was because “the DOJ had never made any official request to the Attorney-General’s Chamber to obtain clarification or information on the claim they made”. It is in the writer’s opinion that Apandi’s argument is arguably both flawed, much as it borders on dishonesty or half-truth. Apandi also alluded that “the actions of DOJ’s are also believed to be based on information given by certain individuals from Malaysia”. That is even more despicable. Apandi could be accused of deliberately misleading the Malaysian public or is he truly oblivious of the fact of the matter. Yes, he could very well have not read the 251-page complaint of the DOJ. On page seven of the complaint, it is categorically stated under the heading of the “Nature of the Action” that… “This is a civil action in rem (Latin in italic) to forfeit assets involved in and traceable to an international conspiracy to launder money misappropriated from 1-MDB…”. The word in rem is repeated in many places in this third “complaint” of the DOJ as it was also stated in the earlier complaints, as to make this writer to question its significance. Admittedly, not much have been said it. Simply put, “judgment in rem” means that the court action is meant to make judgment on the “category of things” and not based on persons (judgement in personam). The “category of things or property” here are all those long listing of items or assets identified, to be forfeited by the court, purchased through the ill-gotten or embezzled money from 1MDB, that had been brought (laundered) into the financial systems of the United States, United Kingdom, and Switzerland. An action in rem takes no notice of the (original) owner of the property. The object of the lawsuit is to determine the disposition of the assets (properties), regardless of who the owner is or who else might have an interest in it. Hence, the AG should know full well that they may very well not be consulted or referred! It was extremely regrettable that the AG accuses DoJ as ‘politically motivated’ when he wasn’t consulted or referred to. So why the whining now? On the contrary, many would concur that it is, in fact, the AG who has unmistakenly “politicised” this legal proceeding of forfeiture of assets. Never mind the AG giving the Swiss AG’s Chamber a “cold shoulder” for a Mutual Legal Assistance (MLA) on two occasions before! So why the whining now? As to the PAS president’s (photo) open letter, it smacks of ignorance of the actual legal proceedings and grossly misguided. That the DOJ is using their jurisdiction on kleptocracy procedures (especially assets recovery procedures), to get back as much money stolen from 1MDB that were spent in the US, should augur well for Malaysians, as the ultimate beneficiaries. Hadi’s revulsion is evidently misplaced. With all due respect, he is apparently at a loss on this. The open letter admonishes Malaysians to remain steadfast while never to allow for foreign meddling. But whoever wants foreign intervention, sir? That Malaysia has, unfortunately, become an epicentre for global kleptocracy, involving foreign and international conspirators, matters least to him. That global kleptocracy demands a global solution is well beyond his comprehension. 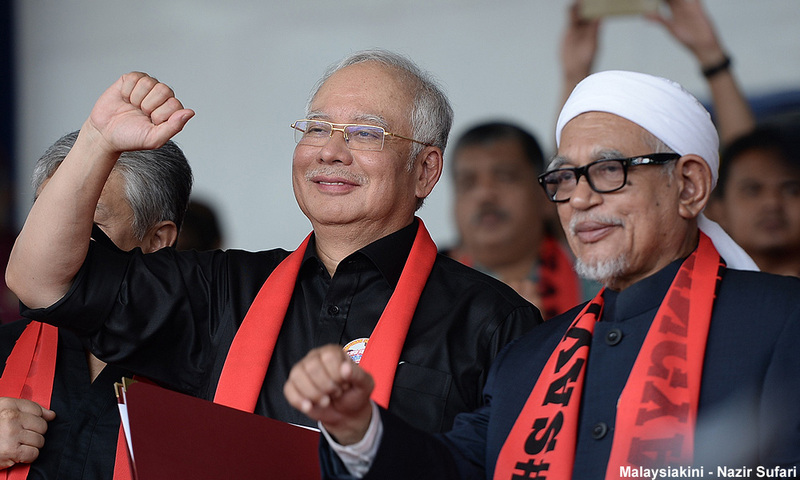 To the more discerning public, Hadi has become a relentless defender of Najib’s government kleptocracy. 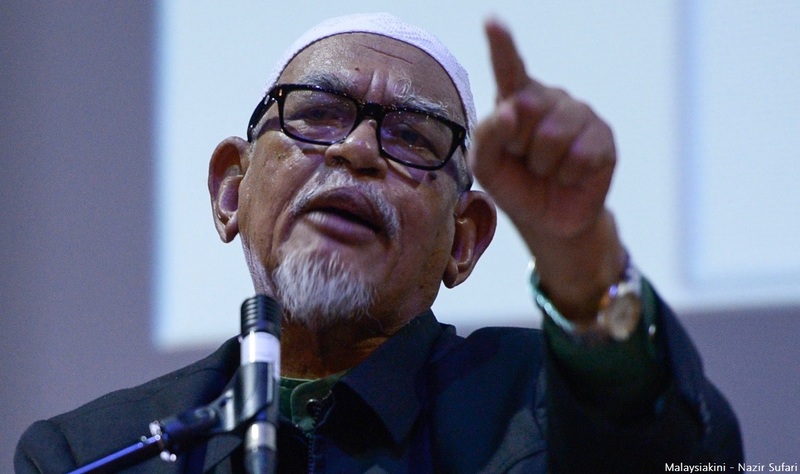 On the flip-side though, Hadi’s emotive anti-western rhetoric couple with Anuar Musa’s narrative of a subversion of a Muslim-led government, regardless of its kleptocratic and corrupt nature, finds a natural traction in many Malay-Muslim constituencies. That this Muslim-majority nation is dangerously slipping into a “Malay-Muslim nationalism”, very wary of the “invented other enemies”, is scary and grim. The Malays particularly are in dire need of a new narrative on leadership! That the attorney-general and religious leaders like the PAS president pose a stumbling block to debunking kleptocracy is surely an understatement.The rakyat must wait for the “apex court of the People”, ie the 14th general election, as to conclusively defeat the defenders and practitioners of kleptocracy. Only then will Malaysia be on the trajectory of genuine “change and reform” that we all aspire and strive for. DZULKEFLY AHMAD is strategy director of Parti Amanah Negara. Attorney-General Mohamed Apandi Ali should be more concerned over how 1MDB’s money got embezzled far and wide across the globe and into these jurisdictions. 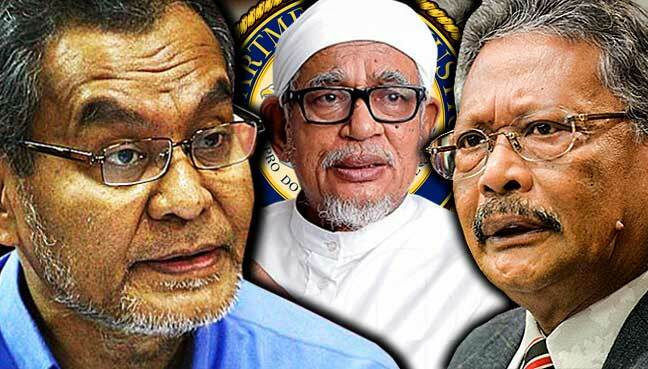 A-G Apandi Ali and PAS president Hadi Awang represent the hardest stumbling blocks in the initiation of any effective legal proceeding to get to the bottom of the 1MDB fiasco. After writing the piece ‘Scandalous that AG not acting on DoJ’s 1MDB revelation’, (June 20, 2017), l really didn’t think that I’d have to pen another piece so soon. 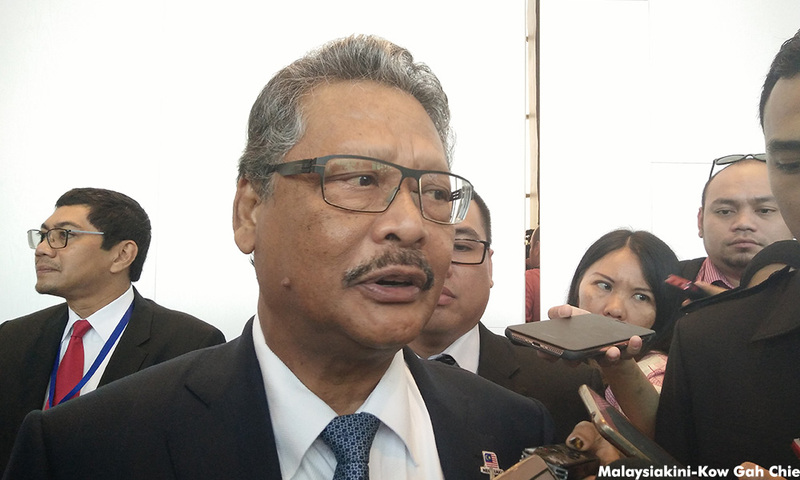 But the most recent statement by Attorney-General Mohamed Apandi Ali was simply outlandish. The open letter of PAS president Abdul Hadi Awang was surely another, purporting foreign interference in the1MDB fiasco, aided by locals. I’ve been particularly restrained during Ramadan. But in the best interest of the nation that we all love, and of Islam whose ultimate objective of justice many claim to fight for but evidently later “hijack”, l feel compelled to engage again.